Secrets of the Past: Dion is a mobile and PC videogame for children that simulates the work of archaeologists in ancient Dion, a city with a thousand years of history situated at the foothills of Mount Olympus in Greece. 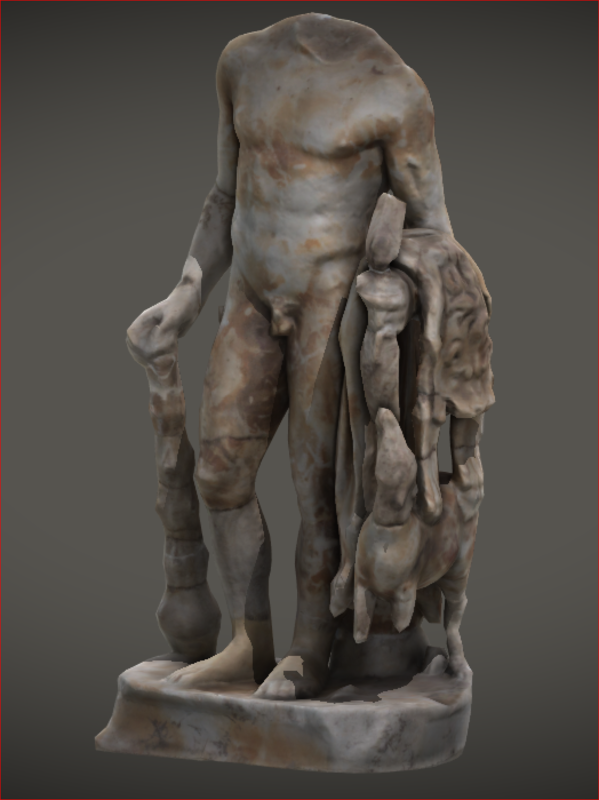 The game also offers access to and a context for the view of high-quality 3D reproductions of ancient artefacts found in the city’s Villa of Dionysus. Become an archaeologist and lead an excavation at the ancient Greek city of Dion! Your goal is to unearth the treasures of the Villa of Dionysus, a luxurious mansion built during the imperial years in one of the most glorified cities of antiquity. Your success will be crowned with your very own 3D exhibition of ancient artefacts! (c) the presentation of artefacts in a personalized 3D exhibition space. The team races against time, a constraint imposed on real-world archaeologists by limited funding and weather conditions. – The Excavation Area simulates the archaeological remains of the Villa of Dionysus covered by lush greenery. Next to it are the archaeologists’ tent and the ancient river Baphyras. – The Preservation Labs are reproductions of the archaeologist workshops in Dion. – The Exhibition Hall is inspired by the Archaeological Museum of Dion. 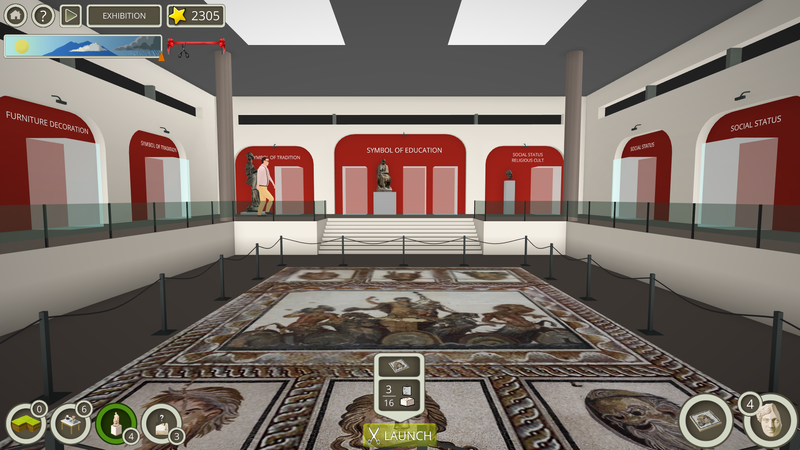 The ancient artefacts discovered in the game are 3D models of the real artefacts exhibited at the Archaeological Museum of Dion, which the player can inspect interactively up close. The game features and characters are based on original concept art rendered in 3D. Care was taken for the group of characters to represent maximum ethnic diversity and gender equality. The game’s music, also featured in the trailer, is an original composition based on the ancient Greek harp song of Seikilos. 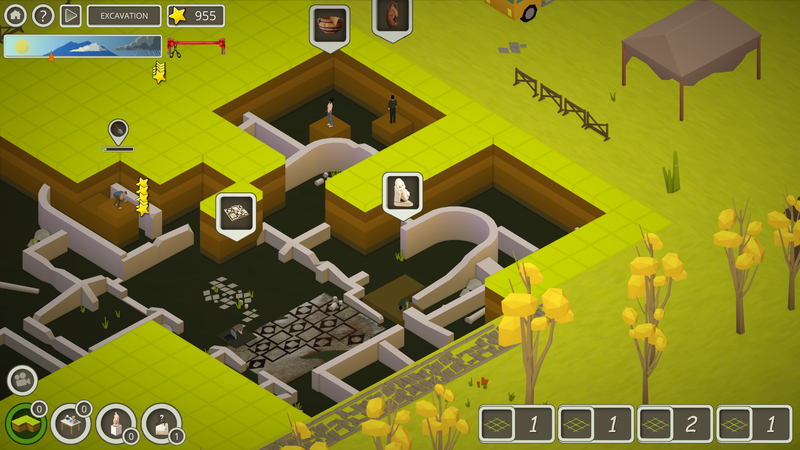 Throughout the game, the player is presented with brief narratives about ancient Dion: the city’s growth milestones during its 1000 years of glory, its cults, its natural environment and its everyday life. At the end of the game, the player will have experienced the journey of an archaeological artefact; gained a detailed and framed view of the tangible discoveries at the Villa of Dionysus; and acquired an insight into the needs and challenges of managing an excavation project. 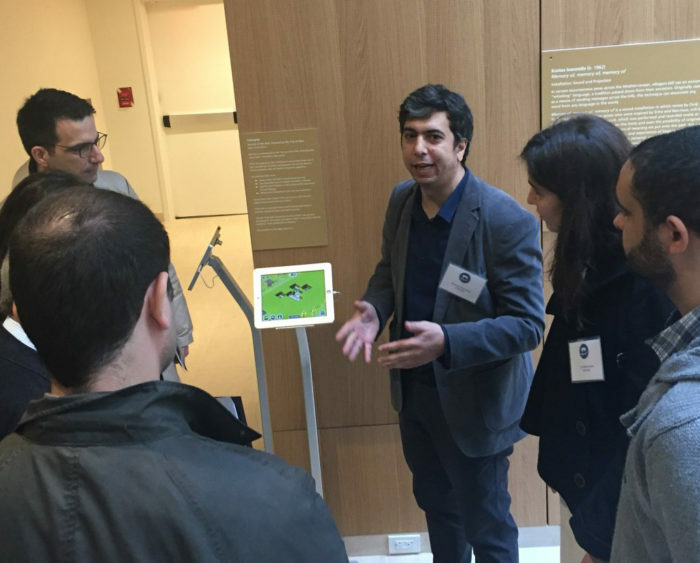 The game was commissioned by the Onassis Foundation USA in conjunction with the exhibition Gods and Mortals at Olympus: Ancient Dion, City of Zeus, curated by Dimitrios Pandermalis, president of the Acropolis Museum and director of the excavations at Dion since 1973. The Exhibition brought for the first time to the USA a selection from the thousands of artifacts that attest to a vibrant daily, cultural and religious life in ancient Dion. 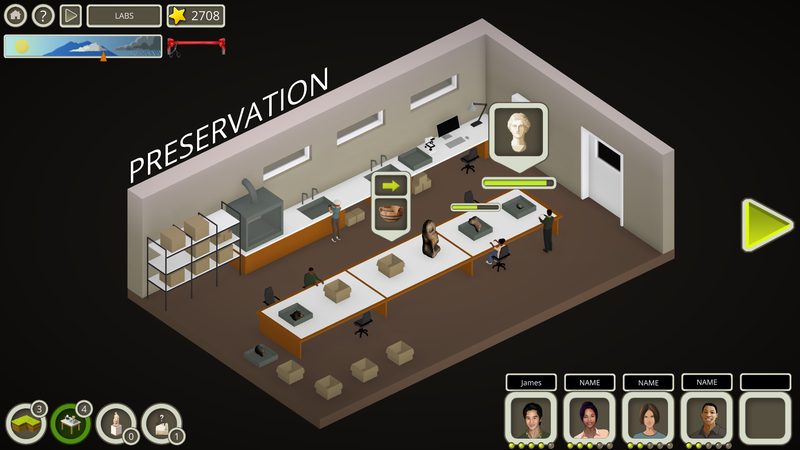 The game’s development was assigned to Culturplay, an aspiring game studio in Greece. Previous works of the studio include virtual tours for the Acropolis Restoration Service, the University of Athens and Goethe-Institut Athen. The studio is currently developing a strategy game about politics and philosophy in 5th century BC Athens. The game concept was formed by Culturplay, an Athens-based game studio, in collaboration with the archaeologists engaged in the Excavations at Dion. The general idea was to develop a simulation/management narrative and an archaeological exhibition seen from the perspective of the Director of Excavations. For the game design, the studio undertook further research into sources and guides provided by the archaeologists, as well as two trips at the archaeological site at Dion. For the development, the studio engaged a team of eight: two senior developers of whom the one was the game designer, a concept artist, a 3D artist, two photogrammetry experts, a musician and a storyteller. The development lasted 5 months and the first version of the game was published in the appstores in May 2016. 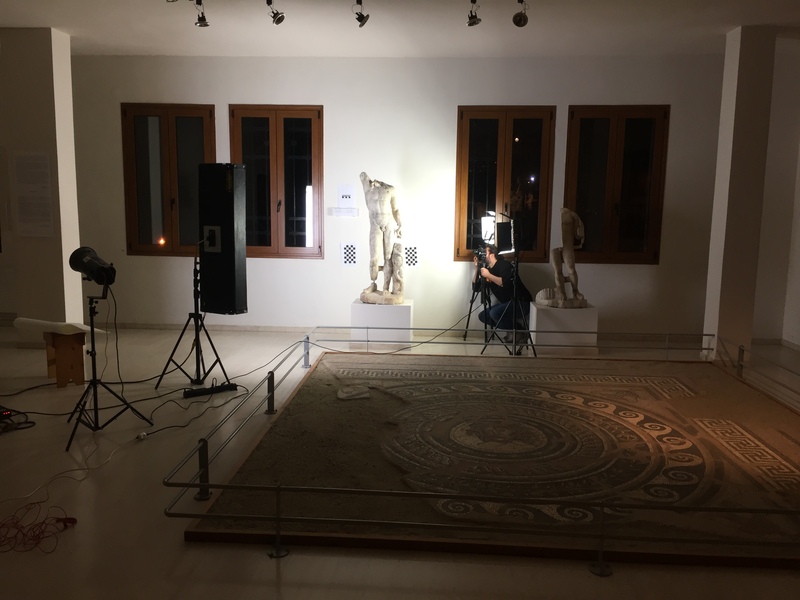 Night at the Museum: The development team was given the opportunity to stay one whole night in Dion Museum to make photogrammetric captures of the 22 ancient artefacts used within the game. These ‘scans’ were then digitally processed to produce digital surrogates of high-resolution 3D models, ready to be used as assets in the video game. The decision to use digital 3D models within the game was part of the larger vision of the archaeologists to broaden access to and encourage the creative reuse of cultural artefacts that are otherwise unavailable to the public due to their fragility or remote location. The Game Engine used for this game was Unity3D, which enabled not only fast (playable) results, but also the design of the code in a way that allows for its reusability. So, if the developers were in the future to build a game about the excavation of Machu Pichu, the same code base would be used along with a new excavation area and new artefacts. For two years since its launch in 2016, the game has undergone sporadic but significant updates. The initial version addressed 6 year old children and was a lot easier. It was also developed for mobile devices and had a different user interface. The PC version that is about to launch currently includes many more features and challenges, a new user interface and is available in more languages (Greek and more following). The initial mobile version of the game is available for free download at the App Store for mobile and tablet iOS devices and the Google Play store for mobile and tablet Android devices. The improved PC version will soon be available on Steam for the symbolic price of 3 euros. What makes games an ideal medium to achieve compelling and learning experiences of cultural heritage? The popularity of games such as Civilization, Total War, Lara Croft, Assassin’s Creed, indicates that players are eager to play in fully realized historical and geographical settings, where there is a strong component of lore and narratives of exploration and discovery. 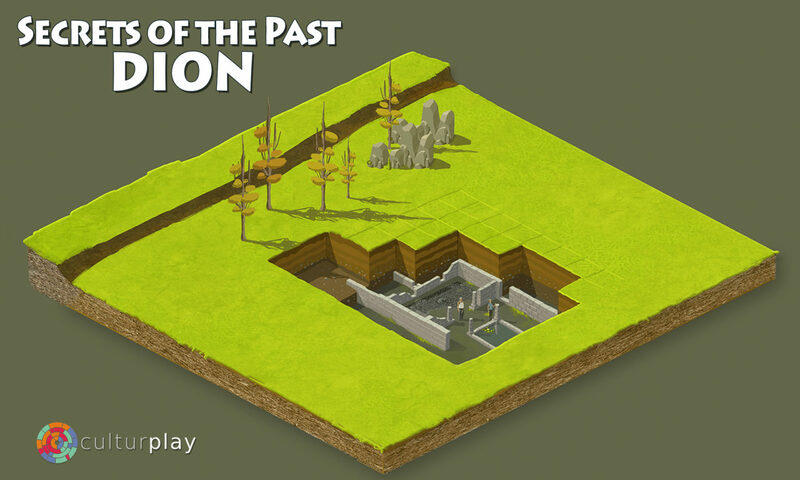 History and archaeology drive game stories and add a layer of complexity. Conversely, virtual cultural heritage environments lend themselves to game-style interaction. Artistic representations or faithful 3D reproductions of tangible cultural heritage, such as monuments or works of art and the natural environment, or intangible cultural heritage, such as music, customs and folklore, make up fascinating game world with real-life extensions. Game mechanics allow for “learning by doing” approaches that are well suited with the objectives of the cultural heritage sector. They provide a context for the meaningful use of cultural objects or narratives through environments that simulate human systems, i.e. the networks of needs and obligations that connect individuals and objects, shape ideas and behaviours and frame decisions and actions. They activate players within these systems through skillful resource planning, process management, goal-oriented activities, antagonisms and conflicts. The choices the players make and the consequences of these choices they experience within the game world, increase their awareness of the value of cultural heritage in a way no other medium does. Thanks to its popularity and educational potential, the game medium may have a capacity to appeal to a wide demographic and shape perceptions about the cultural heritage sector; or to even act as a source of inspiration for funding and recruitment. The challenge is to develop games that mitigate the strictness of a pedagogical approach and achieve engagement through a fun aspect that does not encroach on the objectives of the cultural heritage sector or any related discipline. Secrets of the Past: Dion represents one such endeavour. Entertainment media tend to misrepresent the objectives of educational disciplines. For example, archaeology-inspired commercial videogames often legitimize treasure hunting, vandalism and violence within exotic locales, following an unquestioned logic of appropriation rather than careful excavation or discovery. They also tend to focus on pseudo-archaeological claims, such as the hunt for biblical artefacts, alien-constructed monuments and ‘lost cities’, representing more a fascination with ‘lost worlds’ than the objectives of archaeology. The difficulty of striking a balance between education and entertainment so far sees most games falling to one side or the other. Entertainment games do entail interpretation problems that are inherent in the medium itself: the quantification of resources, the predetermination of goals and the depiction of alternate histories leads to an oversimplification of real-life processes that compromises their educational value. On the other hand, in the educational or so-called ‘serious’ games, educational concepts are often laid over game mechanics, causing them to lose their immersive and engaging aspects and, by extension, their popularity. Given that two of the most important objectives of cultural heritage are to educate and to reach out to as many population segments as possible, it is important to consider endorsing games not as authoritative sources of information, but as means for encouraging critical thinking and authentic questions. In this capacity, any and all games can be leveraged as teaching moments, if only to address the misconceptions on a certain theme, or as vehicles for discussion with the public. What questions about cultural heritage or a related discipline should the game aim to encourage? What meaningful context could the game offer for the use of cultural artefacts? How can cultural heritage themes be represented authentically in a game without taking away from the game’s fun aspect (determined by the storyline, graphics, the usability of cultural artefacts, collaboration/competition mechanisms and more)? Secrets of the Past: Dion offers young – and not only – players a meaningful context for the use of cultural artefacts and a first point of contact with the work of archaeologists. 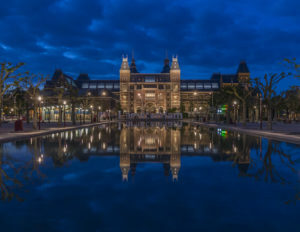 The implications of this game for cultural heritage relate to the degree to which games can be leveraged as virtual learning spaces to meet the sector’s educational and dissemination objectives. Games may provide awareness of the value and the creative (re)use of (digital) cultural heritage in a way that no other medium does. Available online at: http://journalofdigitalhumanities.org/1-2/historical-simulations-as-problem-spaces-by-jeremiah-mccall/. Accessed: 30/11/2017.